"McInerny . . . does a good job of relating the key concepts in Aquinas's natural and supernatural theologies. This is a reliable introduction for people who are not already experts in Thomistic studies--and it has many insights for those few who are." 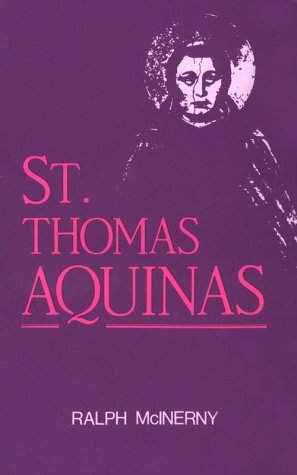 --Vernon J. Bourke St. Thomas Aquinas enables the reader to appreciate both Thomas's continuity with earlier thought and his creative independence. After a useful account of the life and work of St. Thomas, McInerny shows how the thoughts of Aristotle, Boethius, and Augustine and Pseudo-Dionysius were assimilated into the personal wisdom of St. Thomas. He also offers a helpful study of the distinctive features of Aquinas's Christian theology. publisher of Catholic Dossier magazine and co-founder of Crisis magazine. His philosophical works include Aquinas on Human Action, The Question of Christian Ethics, and Aquinas and Analogy. His novels include the Father Dowling Mystery series, an Andrew Broom Mystery series, and the Sister Mary Teresa Mystery series. He also wrote under the pseudonyms of Harry Austin, Matthew FitzRalph, Ernan Mackey, Edward Mackin, and Monica Quill. He died on January 29, 2010 at the age of 80.